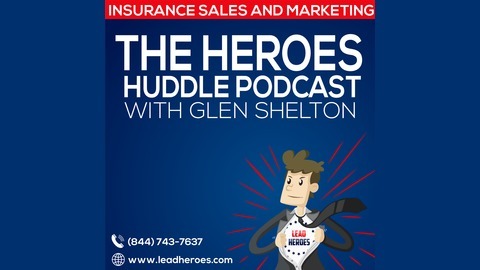 In this podcast series, we will be interviewing three types of professionals within the insurance industry who will share tips and scripts to help agents close more leads: 1. Agents 2. Agency and IMO owners 3. Insurance Industry Vendors We’re hoping to glean some great insights from people our readers have recommended that we interview, along with other thought-leading industry professionals that stood out to us on the forums or other websites. If you have an idea about who we should interview in our podcast series, drop us a line on our CONTACT US page, and select PODCAST IDEA from the drop-down menu. 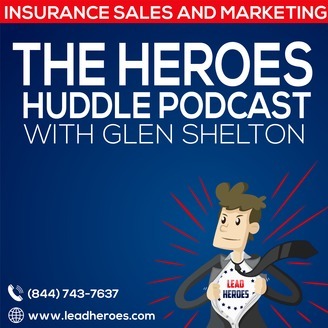 Welcome to the seventh episode of the Heroes Huddle Podcast, where we feature Travis Chappell, a sales expert who built his career through door knocking. Travis got his start selling solar installations and security systems door-to-door. Working in these top competitive door knocking niches showed him the tricks and skills he needed to cross the threshold into people’s houses when he door-knocked – effectively transforming from a stranger on the porch to a trusted advisor on the couch.